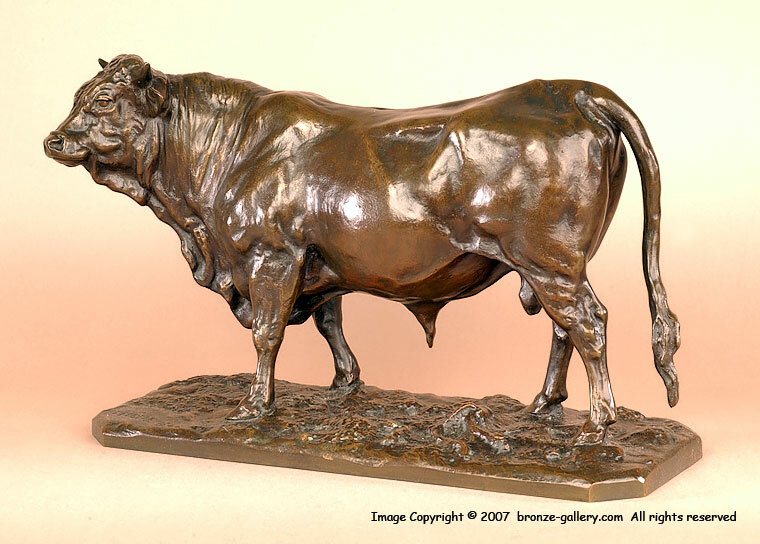 The Bull and the Cow With Calf are some of Mene's finest work. The original sculptures were created in the 1840s and were very popular. Mene cast both models in two sizes, of which this is the large size. Because of their popularity, this pair was cast in Austria and dates to about 1890. They are stamped "Made in Austria" and have Mene's signature on them. 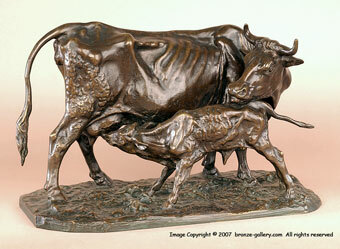 The Bull measures 9 1/2" by 15 1/8" and the Cow with Calf is 9" by 14". They are good casts with dark brown patinas and are offered for much less than the 1840s versions would cost. The proud Bull and the Cow mothering her Calf are very handsome and would enhance any dining room or library.